Ladies special is one of the recent starting entertaining show. Ladies Special is an Indian television serial that airs in Sony entertainment television. The show Ladies Special is all about the lives of four ladies who travel by the railway train in Mumbai. The story is set in Mumbai and is a take on the lies and challenges faced by women in big cities and how they sometimes find hope, encouragement and companionship in the most likely places. 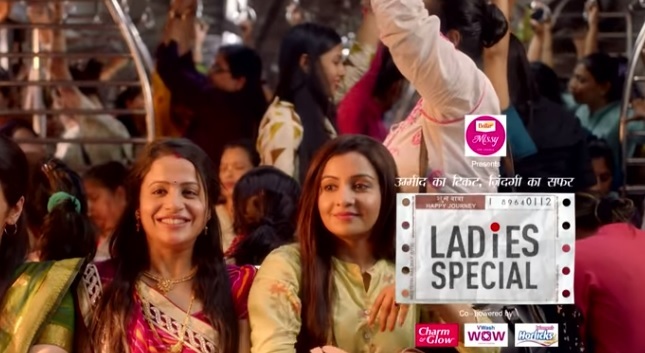 The recently upcoming serial Ladies Special is started at 9:30 pm. On Sony Tv. This is a daily show that airs on Sony channel. The show was taken off air from 14thDecemberr 2009 due to the decline of viewership. But now so many laides like the show and gave positive comments for the serial Ladies Special. Ladies Special 30th November 2018 written episode Bindu and Paarthana meet again at police staion. Todays latest episode of Ladies Special 30th November 2018, begins with Meghna gets a call from her neighbour Jyoti that polic came to her home. She rushes towards home via local train. Prarthana also gets call form Rachna that police arrested Punith. She also rusehs towards home via local gtrain thinking if Punith stolen something on his boss Naidu’s order. Meghna reaches her apartment building. Jyoti said police have come tofind her at home. Police brings Mandar and said the boss has complained that he stole 3 lakhs, so they want to search a house, they will not find anygting. Jyoti tells inspector Mandar is very loyal, he can not steal anything. She can become evidence in court. Constable tells the inspector that they should call the owner. Prarthana reacjes at home and calls Punith, but his phone is not reacabale. Upcoming latest episode of Ladies Special 1st December 2018: Inspector tells Mandar’s boss that Meghna looks very clever, she will not let the search house without a warrant. Boss gets clerk’s call that money is found.